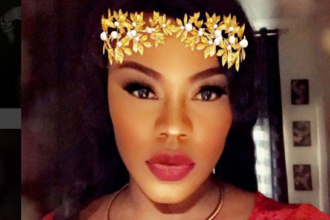 Mother of Stephanie Otobo, the alleged girlfriend of Apostle Johnson Suleman of the Omega Fire Ministries, has said she has not seen her daughter in the last three years, noting that her daughter ”is not normal”, Daily Post reports. This is coming after the Canadian-based Nigerian singer accused the clergyman of impregnating and abandoning her after he promised to marry her. Following her initial allegation against the preacher, the singer had continued to release more intimidating details about her alleged romance with Suleman. But her mother, popularly called Mama Tope has opened a fresh controversy on the much publicized saga. In a chat with newsmen in Sapele, Delta State on Thursday, Mama Tope said she has not met the cleric before, neither has she been to the Omega Fire Ministries. 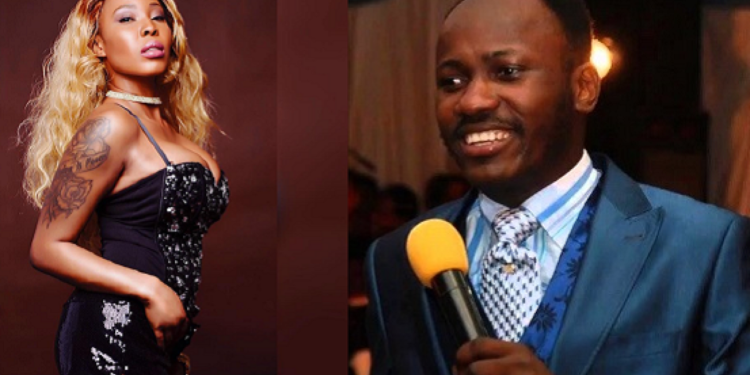 Mama Tope appealed to Apostle Suleman to, “forgive my daughter and bury the hatchet” even as she blamed the devil for seeking to destroy her daughter.